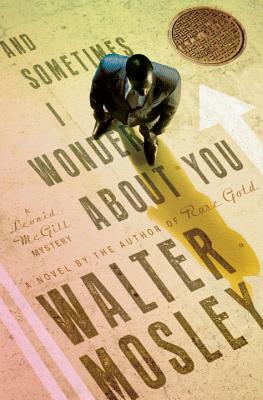 The welcome return of Leonid McGill, Walter Mosley's NYC-based private eye, his East Coast foil to his immortal L.A.-based detective Easy Rawlins. As the Boston Globe raved, "A poignantly real character, McGill is] not only the newest of the great fictional detectives, but also an incisive and insightful commentator on the American scene." In the fifth Leonid McGill novel, Leonid finds himself in an unusual pickle of trying to balance his cases with his chaotic personal life. Leonid's father is still out there somewhere, and his wife is in an uptown sanitarium trying to recover from the deep depression that led to her attempted suicide in the previous novel. His wife's condition has put a damper on his affair with Aura Ullman, his girlfriend. And his son, Twill, has been spending a lot of time out of the office with his own case, helping a young thief named Fortune and his girlfriend, Liza. Meanwhile, Leonid is approached by an unemployed office manager named Hiram Stent to track down the whereabouts of his cousin, Celia, who is about to inherit millions of dollars from her father's side of the family. Leonid declines the case, but after his office is broken into and Hiram is found dead, he gets reeled into the underbelly of Celia's wealthy old-money family. It's up to Leonid to save who he can and incriminate the guilty; all while helping his son finish his own investigation; locating his own father; reconciling (whatever that means) with his wife and girlfriend; and attending the wedding of Gordo, his oldest friend. Walter Mosley is the author of more than forty-three books, most notably thirteen Easy Rawlins mysteries, the first of which, Devil in a Blue Dress, was made into an acclaimed film starring Denzel Washington. Always Outnumbered, adapted from his first Socrates Fortlow novel, was an HBO film starring Laurence Fishburne. Mosley is the winner of numerous awards, including an O. Henry Award, a Grammy Award, and PEN America's Lifetime Achievement Award. A Los Angeles native and graduate of Goddard College, he holds an MFA from CCNY and now lives in Brooklyn.